Welcome to my underwater photo portfolio. I have been a diver for about 20+ years and have been diving in the St.Lawrence River and Great Lakes to the Caribbean and the Great Barrier Reef. I am fortunate to have been born and raised in the St. Lawrence Seaway area and currently live on the St. Lawrence River. I enjoy sharing my underwater photos of this historical region. I am a beginner underwater photographer and have recently been focusing my diving around photography. Most of these pictures are in my area (St. Lawrence River and Great Lakes). The conditions are freshwater, (sometimes) cold, and depths ranging from 30 to 100+ feet. After alot of research in equipment I originally chose the Canon T2i, wide angle Tokina 11-16 lens, 8 inch dome port, and Aquatica housing. 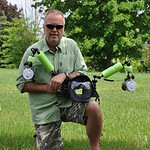 I have recently upgraded my setup to a Canon 7D with an Aquatica housing. My favorite diving is still the freshwater of the St. Lawrence River and Lake Ontario. This area has some of the most preserved historical shipwrecks and underwater structures in the world. 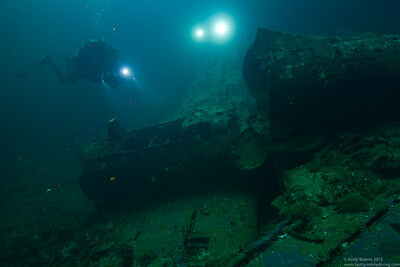 Some of these wrecks resulted in only the loss of the vessel, while others unfortunately have tragic loss of life. My goal is to give you a glimpse into the maritime history of the St. Lawrence River and Great Lakes.